How much time, nerves and energy is spent oninventing how to hold a wedding celebration. And the psychological and financial cost to the organization is not worth mentioning. Someone chooses a standard meal, believing that it is the most simple and cheap, some are satisfied with the whole show. But in any case, the preparation and conduct requires a lot of funds. Today, the average wedding organization50 persons costs 5 000 - 7000 $. This amount accounted for hall rental, Toastmaster services, car rental services, photo and video shooting, a small show program. In this case not taken into account any excesses in the form of a special menu, special guest artists, etc. Thus, the cost of a wedding celebrationIt depends entirely on the intended scope. That is why the upper financial limit is not limited. The maximum value can be exactly for what is possible in accordance with the development of wedding services market. But to go into details is not necessary. And so traditional wedding will cost youngat least $ 5000. 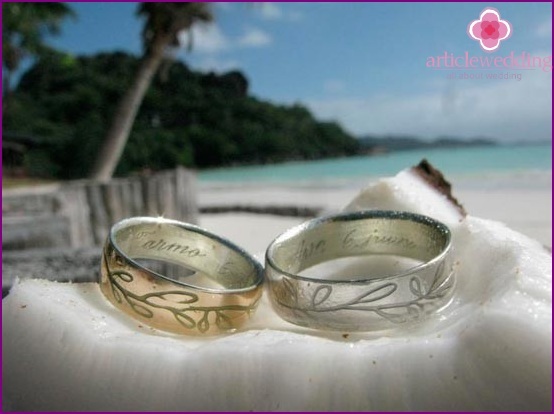 But and if you want something unusual, for example, a wedding on the islands? It is believed that the organization of celebrations abroad - a pleasure for the rich. But is it really? In this regard, I decided to investigate Svadebka.ws portal. Do not want a normal wedding? Then why not try to go two or even more companies in the warm countries, and to celebrate a wedding in the islands. Do you think it is too expensive? And how do you what it can do not only in the same amount, and even cheaper than at home? We analyze the proposed options for the organization of ceremonies and the existing rates. 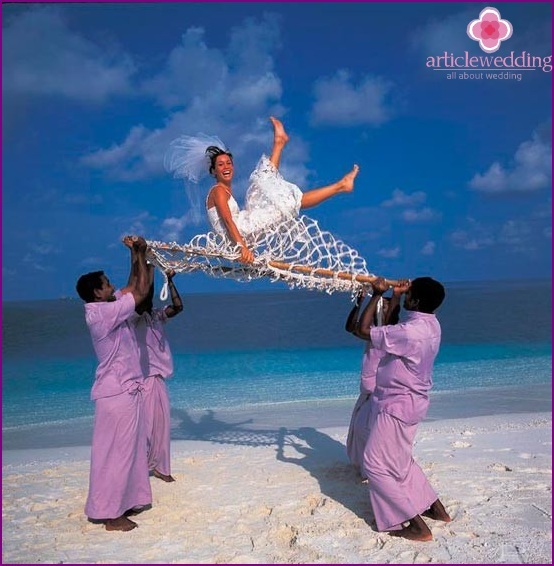 In the Maldives, the choice offered young wedding on the beach at the hotel, a celebration on a deserted island, the underwater ceremony - 1 500 - 3 850 $. In Thailand, the couple can enjoy a ceremony in the European or Thai style, as well as combined - 1 200 - 4000 $. And for the $ 4125 offered a celebration on a yacht. 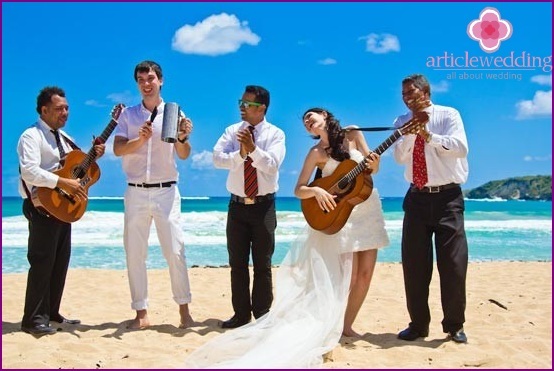 Multiple scenarios for the wedding on the Dominican Republic offered only 1 300 - 1 500 $. The main wedding proposal - a celebration on the pier, which will cost $ 3000. The amount will depend largely on from the hotel and setadditional services that are not included on the tour. However, comfort in the fact that the offer included accommodation, and organizing celebrations, and much more. However, in the wedding on the islands under the warm sunIt is not only the financial aspects. and it is necessary to pay attention. For example, it can significantly increase the cost of the presence of relatives and friends. After all, it all invitees have to buy a separate tour. That is why the number of guests will have reduced to almost zero. Another nuance - problems with the registration of marriage. Not all the islands, this procedure is possible. Therefore, the registrar will still have to visit at his residence before the ceremony. It may be difficult and with weddingoutfits. In this connection, will certainly want to take a bride's and the groom's suit. And the hairdresser and makeup artist in the ceremony are not included. However, still a lot to be advantages from a wedding celebration in the islands. After all, for example, where you get rid of thousands of organizational issues. Special people all prepare for you. Pleasant and the fact that the couple will receive one bottle and unconventional approach to wedding and incredibly romantic, and amazing honeymoon. 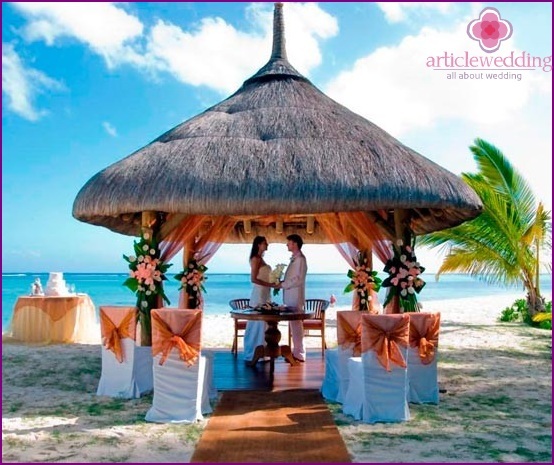 Portal www.articlewedding.com has led the main directions of the wedding ceremonies on the islands and their cost. As you can see, it is the triumph of truth and can be cheaper and more exciting than at home. Especially in this case, you will clearly recall that in the course of family life.